Working in the tradition of Dora Kunz and Delores Krieger, cofounders of Therapeutic Touch, McRae emphasizes the importance in healing of positive thought, forgiveness, and the patient�s letting go of emotional pain and resistance to health. Each of her examples is instructive, and each gives hope, no matter what the physical or mental condition might be. The epilogue shares Shannon�s insights about life after death and the realm of unseen helpers. This first-person account of a renowned medical intuitive describing her experiences in helping people heal is aimed at anyone interested in alternative health in general and energy medicine in particular. 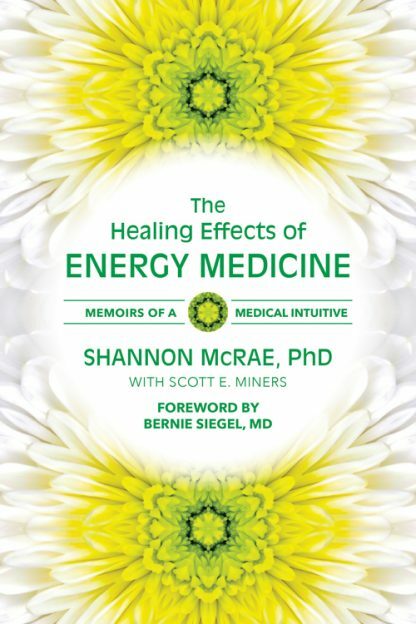 Shannon McRae, PhD has a graduate degree and a long background in psychology as well as a doctorate in holistic nutrition from American Holistic College of Nutrition. She has an ongoing feature column about intuitive medicine and energy healing in the Well Being Journal.